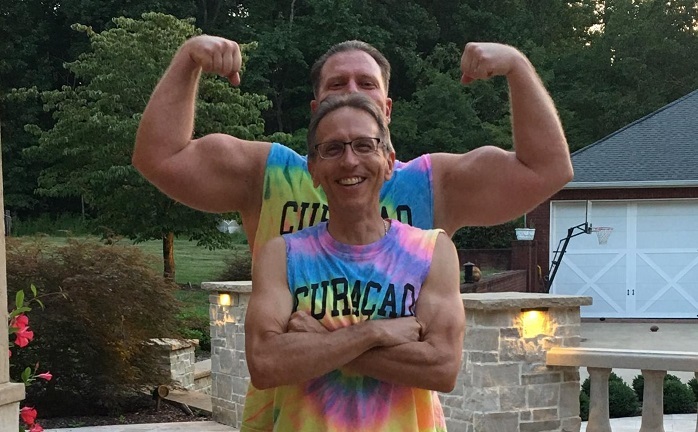 Protect your immune system, Stuart Tomc CV Sciences, Hemp-derived CBD, Farm Bill freedom, anxiety, Sexist salads, Ty Bollinger Outside The Box, Chinese vaccine scandal, Crawl for the cure, GMO “no” study, Pesticide exposure, FDA shutdown woohoo and MORE! 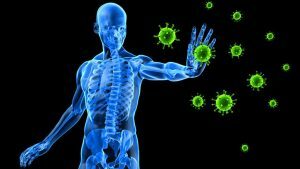 The top 10 immune system KILLERS of all time Most health-conscious consumers know about all kinds of foods, herbs, and supplements that boost the immune system naturally. From Vitamins D, C, and B12, to turmeric and garlic, and from probiotic-rich foods to medicinal mushrooms, you don’t have to break your wallet or empty your purse just to give your immune system that well-deserved booster “shot” daily. What most people fail to realize though is that the human immune system can get wiped out in just minutes, and in many cases, by doing exactly what the medical doctor, oncologist, or mainstream health magazine article “recommended.” Western food and medicine are not what they used to be. Our staple crops have been bastardized, adulterated, genetically mutated, and sprayed with toxins that kill everything but the plant, and that’s mainly because the plants contain the same toxins now, thanks to biotechnology firms screwing with Mother Nature. Chaos in the body tunes up your immune system Chaos in bodily regulation can optimize our immune system according to a recent discovery made by researchers at the University of Copenhagen’s Niels Bohr Institute. The discovery may prove to be of great significance for avoiding serious diseases such as cancer and diabetes. Wide gaps exist in our understanding of how the immune systemworks and how we might avoid diseases such as cancer and diabetes. Now, two researchers at the University of Copenhagen’s Niels Bohr Institute have made a discovery that could prove to be an important piece of the puzzle. Ph.D. Mathias Heltberg and Professor Mogens Høgh Jensen have found an entirely new mechanism in the way that bodily cells regulate themselves – through chaos. The researchers investigated how a particular proteinproduced within cells, NF-kB, stimulates genes. Among other things, this particular protein is vital for maintaining the body’s immune defense system and thereby, the body’s ability to combat disease. The concentration of NF-kB fluctuates over time, and these swings impact the genes and subsequently, the condition of cells. Special Guest – Stuart Tomc! Stuart Tomc serves as a Vice President of Human Nutrition at CV Sciences, Inc. Mr. Tomc served as Head of Product Development at CannaVEST Corp. He is a recognized authority on dietary supplements, with twenty years of experience in the nutritional health industry. He served as Vice President of North American Herb and Spice, where he served for 10 years, in addition to his service as Global Educator for omega-3 market leader, Nordic Naturals, Mr. Tomc is known for his extensive print interviews and contributions to noted books on integrative medicine, as well as his 4000 radio appearances. 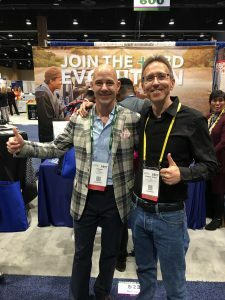 A renowned educator, Mr. Tomc recognizes CBD and its multiple mechanisms of action to support human health, and envisions a new category of dietary supplements derived from agricultural hemp. 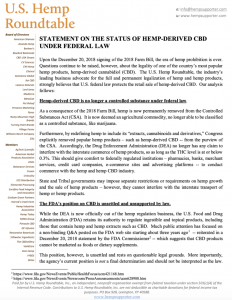 STATEMENT ON THE STATUS OF HEMP-DERIVED CBD UNDER FEDERAL LAW Upon the December 20, 2018 signing of the 2018 Farm Bill, the era of hemp prohibition is over. Questions continue to be raised, however, about the legality of one of the country’s most popular hemp products, hemp-derived cannabidiol (CBD). The U.S. Hemp Roundtable, the industry’s leading business advocate for the full and permanent legalization of hemp and hemp products, strongly believes that U.S. federal law protects the retail sale of hemp-derived CBD. As a consequence of the 2018 Farm Bill, hemp is now permanently removed from the Controlled Substances Act (CSA). It is now deemed an agricultural commodity, no longer able to be classified as a controlled substance, like marijuana. Furthermore, by redefining hemp to include its “extracts, cannabinoids and derivatives,” Congress explicitly removed popular hemp products – such as hemp-derived CBD — from the purview of the CSA. Accordingly, the Drug Enforcement Administration (DEA) no longer has any claim to interfere with the interstate commerce of hemp products, so as long as the THC level is at or below 0.3%. This should give comfort to federally regulated institutions – pharmacies, banks, merchant services, credit card companies, e-commerce sites and advertising platforms — to conduct commerce with the hemp and hemp CBD industry. 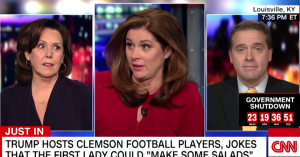 CNN PANEL MELTS DOWN OVER TRUMP’S ‘SEXIST’ SALAD JOKE A CNN panel accused President Donald Trump of being “sexist” Monday night because the president made a joke about first lady Melania Trump making salads. The president cracked the joke to the national championship-winning Clemson football team during their Monday visit to the White House. Trump noted that because of the shutdown, he had to personally purchase a spread of fast food for the team’s visit, and joked that his food choices were better than having the first lady make them “some quick little salads.” “That’s appalling,” Walsh said. “It seems to me that the president will not be happy until there is one single female Republican voter in the country. It’s incredibly sexist.” “Sometimes what people say when they’re being funny exposes exactly who they are and what they think,” Burnett agreed. Scott Jennings, the lone Republican on the panel, tried to defend the president’s attempt at humor but was shut down by the two women. “I certainly didn’t take his comments to be sexist,” Jennings said. “So then Mike Pence maybe could have made the salads?” Walsh shot back. “How in the world do you not perceive that as sexist?” Burnett scoffed. 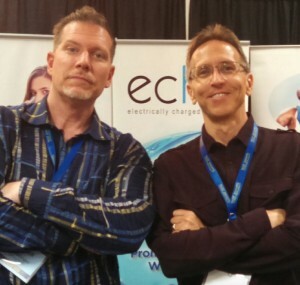 Hour 2 – Outside The Box With Ty Bollinger! 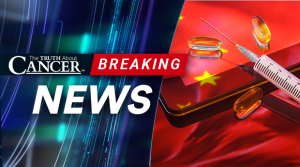 Violent Protests Erupt Over Chinese Vaccine Scandal Violent protests erupted in China on Friday after nearly 150 children received expired polio vaccines. Parents say that this is just one example of a rampant vaccine scandal revolving around the Chinese pharmaceutical industry. Officials say that they are launching an investigation and that this latest incident shows “negligence and supervision failure” on behalf of local officials. Reuters reports that 17 officials have been disciplined so far. This is just the latest event in which defective or expired Chinese vaccines have been administered to children as young as 3 months old, who have suffered injuries including fever, vomiting, severe skin rashes, and even death. Due to poor safety testing, officials say they cannot determine if the vaccines are responsible for these reactions. Susan G. Komen Race for the Cure ends in favor of walk as revenues fall For more than 30 years, the Susan G. Komen foundation has been a behemoth in breast cancer philanthropy, inventor of two iconic marketing tools: the pink ribbon and the Race for the Cure. But as revenues decline and expenses go up, the branding is getting a makeover. 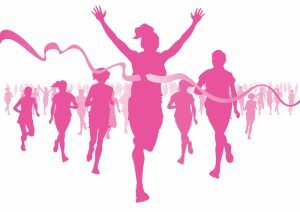 Komen’s Philadelphia affiliate on Tuesday announced it is replacing its Race for the Cure — a 28-year Mother’s Day tradition attended by tens of thousands of pink-clad racers and walkers annually — with the Dallas-based organization’s new event, the More Than Pink Walk. By next year, all of Komen’s 66 affiliates will make the switch, according to the national headquarters in Dallas. The Philadelphia walk will loop from the Art Museum and Eakins Oval — always the hub of the Race for the Cure — down the Parkway and around Logan Circle. The route will be cordoned off by bike-rack barriers and, unlike at the race, security guards will try to restrict the event to participants who have paid the registration fee, which tops out at $40. Early-bird registration lasts through Jan. 31 and costs $20. High pesticide exposure among farmers linked to poor sense of smell later A Michigan State University study is the first to show an association between unusually high pesticide exposure and poor sense of smell among aging farmers. The research examined more than 11,200 farmers over a 20-year period. 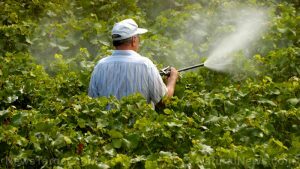 At the start of the study, about 16 percent of participants reported having experienced a high pesticide exposure event, or HPEE, such as a large amount of pesticide spilling on their body. Two decades later, they were asked if they suffered olfactory impairment, a partial to complete loss of sense of smell. Farmers who reported an HPEE were 50 percent more likely to report a poor sense of smell at the end of the study. The research also showed that an immediate washing with soap and water might mitigate risk. Compared to farmers who never experienced a high exposure event, those who did and washed within three hours, had about a 40 percent higher riskof having problems with smell. Those who waited four or more hours, saw their risk potentially double. 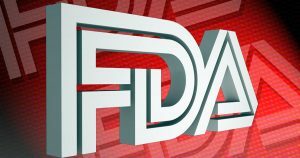 The FDA has five weeks till money runs out for approving new drugs The US Food and Drug Administration has roughly five weeks of funding left to review new drug applications during the shutdown, commissioner Dr. Scott Gottlieb said Monday on Twitter. Experts say this could have a ripple effect, bogging down the approval and manufacture of new drugs, delaying patients from getting these treatments and adding to a host of other crucial FDA actions and oversight that have taken a hit during the shutdown. The partial government shutdown began on December 22 after Congress and the White House failed to reach a spending deal. On January 12, it became the longest government shutdown in US history. In order to keep reviewing applications for the next five weeks, Gottlieb said the agency has stretched its remaining funds, which came from user fees paid by drug companies before the shutdown. The FDA is not allowed to accept new fees or applications until the shutdown is over. “We’re shifting operating dollars to payroll dollars in order to maximize our runway and preserve program functions,” Gottlieb said.